One of the leaders of the 1916 Rising and signatories of the Proclamation. 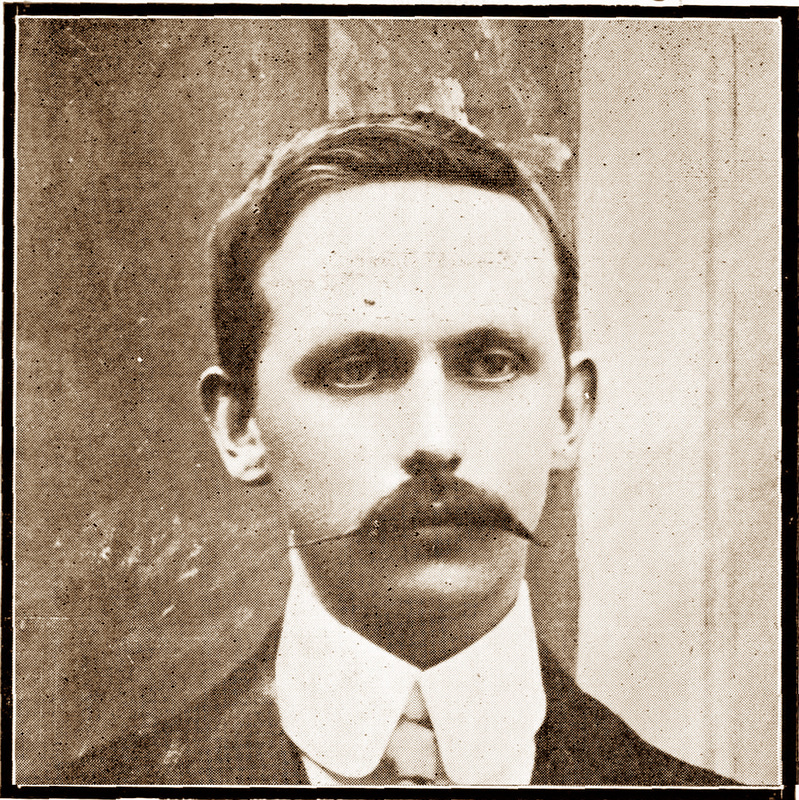 I am a grandniece of Éamonn Ceannt, who was one of the leaders of the 1916 Rising and signatories of the Proclamation. Éamonn’s brother, Michael was my grandfather and he was one of a family of six, who originally came from Ballyporeen in Co. Tipperary, but Éamonn himself was born in Ballymoe, Co. Galway in September 1881, his father James Kent was a R.I.C. constable; a member of the Royal Irish Constabulary and he was posted to Ballymoe at the time when Éamonn was born. This was a time of Land League problems in the West of Ireland, it was a time of near famine in the West of Ireland, a very difficult time to be living in the West of Ireland. When Éamonn was approximately two years of age, his father was promoted in the R.I.C. and the family moved to Co. Louth where they spent Éamonn’s childhood between Drogheda and Ardee. Éamonn was educated by the Christian Brothers and the De La Salle Brothers there and when he was around 12 years of age, the family moved on his father’s retirement to Dublin. It was only when Éamonn left school that he became so deeply involved in the Irish language movement, in the Gaelic League. He joined it as a very young man and one of the first people he met there was Pádraic Pearse. For most of his twenties; Éamonn’s commitment was to the Gaelic League both in terms of the restoration of the Irish language and in particular Irish music. He became an extremely accomplished piper and he was one of the people who established The Piper’s Club in Dublin along with Edward Martyn a well-known Galway man. Éamonn was particularly good at acting as an administrator for the various organisations he was involved in but his actual day job was in Dublin Corporation where he worked in the Finance department. He was a man of many parts; he was involved in self-sufficiency, he grew mushrooms, he reared hens, he tried to establish a little Irish company making Irish Blue; people will remember Reckitt’s Blue for their mothers when they were whitening their clothes; well he decided to establish an Irish Blue; it wasn’t very successful in the end but it was indicative of his interest in Irish self-sufficiency. One of the huge interests in his life The Gaelic League lead to his first meeting with his wife Frances O’Brennan; her name was subsequently changed to Áine and was known as Áine Ceannt after they married. He met Áine on a Gaelic League outing to Galway when they were both very young and two years later they got engaged and a few years later were married. 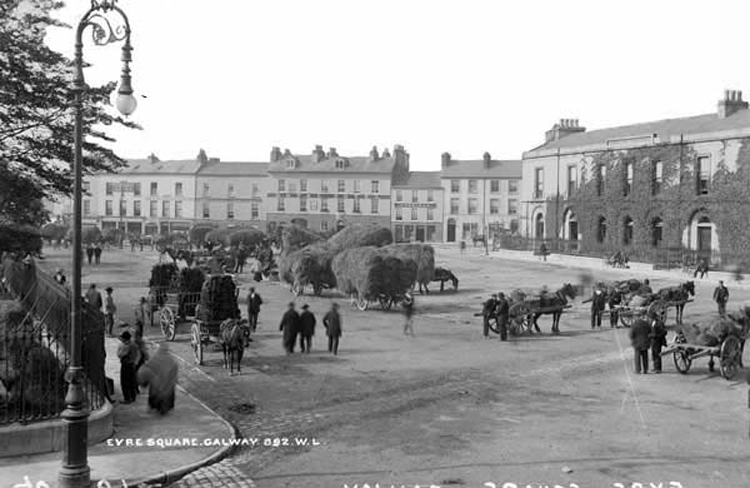 Éamonn loved his visits to Galway, he always visited Connemara whenever he had the opportunity. In the Gaelic League he adopted the Connacht dialect; he always thought of himself as a Galway man. He was also inclined to play jokes on his fellow Gaelic Leaguers many of whom were visiting Galway hoping to learn the language in their holidays which was a couple of days. He came across a couple of these young men on day in Eyre Square on their way to the station and he took out his pipes and insisted on piping their way to the station; they were mortified but that was Éamonn. He was a showman in many ways and as a part of his involvement in the Gaelic League he loved organizing events and any opportunities for piping were grasped as quickly as possible. In 1908, he joined a group of athletics on the Catholic Young Men’s Association on a pilgrimage to Rome as their official piper, and it was there that many people know he played his pipes for Pope Pius 10th, he spoke only Irish during his visit to Rome and he later remarked that he wasn’t laughed at for walking through the streets of Rome playing his pipes in an old Irish piper’s costume; he wasn’t laughed at the same way he would have been in Dublin. In 1913, the Great Lock Out happened in Dublin; where many people were less concerned than Éamonn was with future of the Irish Language but were very concerned about putting bread on the table for their children in what was one of the worst housing situations in Europe. James Larkin union brought the workers out on strike and the city descended into a crisis that continued until the end of the year. Éamonn’s wife, Áine later remembered that that was the atmosphere when Éamonn Ceannt in November 1913 received an invitation from the O’Rahilly to meet John McNeill and others in Wynn’s Hotel and this was the start of the Irish Volunteers of which Éamonn was a very enthusiast founder member. His father was as I said an R.I.C. man, his brother had joined the R.I.C., his brother JP had joined the R.I.C. His other brother Bill (William) was actually a member of the Royal Dublin Fusiliers and had been fighting in the British Army in the Boer War and was essentially a professional solider. So there was a very much military background in the family. Though I have to say my own grandfather; his brother was also working in the Dublin Corporation and had very little interest in the military aspects of life. So 1914, with war on the horizon was a huge turning point not just for Éamonn but for Ireland and for the whole continent of Europe and the world indeed. Éamonn became more deeply involved in the I.R.B. (The Irish Republican Brotherhood) and in 1915 he was appointed to the Military Council along with Pearse and Joe Plunkett as we all know at this stage the plans for the Rising went awry when Eoin McNeill issued a countermanding order on Easter Sunday morning. Éamonn with other members of the Council were distraught and they saw their opportunity disappearing but we all know now they decided to go ahead and have the Rising on Easter Monday. A year after Éamonn was executed his brother William, who was in the Royal Dublin Fusiliers and had been transferred to the Western Front and approximately a year after Éamonn’s death he himself died in battle on the Western Front. My grandfather had lost 2 of his brothers to war, one on each side of the Irish Revolution.